The material is flexible to -40℃. Durable overshoes with good elasticity. Ground-gripping steel studs,Stretch to fit size. Easily fitted over existing footwear with no buckles or straps. 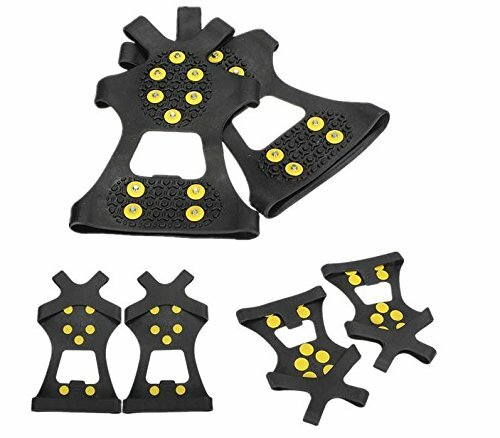 Non-slip studs offer excellent traction on ice and snow.